It is the era of customer experience. It has never been more important to provide a unique customer experience to your customers to build trust and create loyal customers. The key to a great customer experience is to be available when your customer needs you. Between returns, troubleshooting, or simple questions about your business, the transaction is rarely the end of the sale. Consumers prefer assistance through the following channels: Phone (61%), Email (60%), Live Chat (57%), an online knowledge base (51%), and “click-to-call” support automation (34%).2 In this post, we’ll touch on the importance of these different forms of communication between you and your customer. Phone and email support are self-explanatory at this point, but did you know that 91% of customers said they would use an online knowledge base if it were available and tailored to their needs.4 Building a comprehensive self-serve knowledge base for customers to quickly find the answers they need not only empowers them as problem solvers, but also cuts down on overall support efforts and costs. So what happens if a customer has a bad experience with a brand? A typical business only hears from 4% of it’s dissatisfied customers, making proactive support a must. You can’t wait around for a vocal minority before you realize what broke, needs fixing.7 Most customers won’t even bother complaining – they’ll simply leave you for a competitor without giving you a chance to make it up to them. A bad review of your business can be like a blow to the stomach, but you can walk it off. Complaints come from customers who had a lousy time, but still want what you have to offer. Even though they’re upset, your customers have taken their time to give you feedback and there’s no better time to learn how to provide that better experience. When customers share their story, they are sharing problems from their unique perspective that your business can potentially solve. Their complaint or issue will help you understand what part of your business’s relationship with customers is going offside; taking the time to listen and address it may solve that issue for plenty of people that secretly share that opinion. Your frontline customer service staff should be listening to all feedback, and asking the right questions in search of the issue. The result of great customer experience is customer loyalty, the most important thing you can achieve with your customer base. 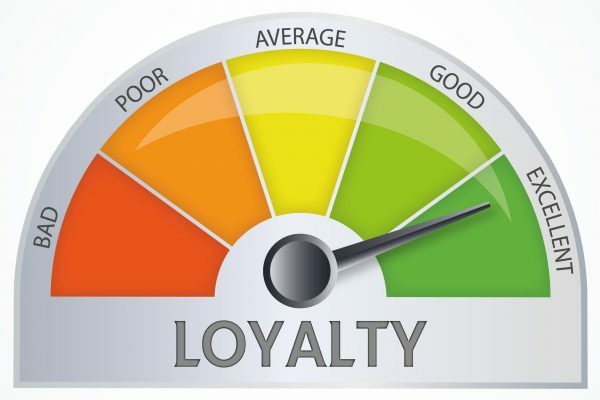 Loyalty means customers see your business as a part of their daily lives, they are willing to go out of their way for your product or service, and will always ask for it first (think Pepsi Vs Coke). Those customers that live and breathe your business act as advocates for what you offer; they ensure their family, friends, and everyone they know become your customers too. Creating a loyal customer through customer experience won’t just maintain sales, but help to grow your business and take it well beyond your dreams. 3 – Bain & Co.
Grow Your Business Should Your Business Implement a Loyalty Program?